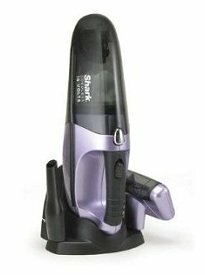 Shark vacuum cleaners are known for providing innovative and effective cleaning machines at reasonable prices. The company began in Europe over 100 years ago and is now based out of Newton, Massachusetts. One of the prime advantages of Shark vacuum cleaners is that the entire complement of their products are available online. Read consumer reviews written by other visitors to this site, or submit your own. The family owned Euro Pro Corporation has specialized in manufacturing home appliances since it began operation in the 1950s. In 1992, the company began operation in the United States in Newton, Massachusetts, and in twenty short years, has gained a strong foothold in the US household appliance market. Euro-Pro vacuum cleaners and steam cleaners sold in the United States under three different brand names… Euro-Pro, Shark and Fantom. Each of these brands offers a wide range of floor care equipment, including upright, canister, handheld and stick vacuum cleaners as well as several different steam cleaner models. Shark vacuum cleaners and steamers are not only affordable, the Shark line is also among the most durable and reliable floor care brands available today. Shark vacuums and steam cleaners are known for the technological innovations, excellent cleaning and convenience. The extensive line of Shark floor care equipment assures the buying public that there is a Shark to answer every household floor care need and to fit every household budget. 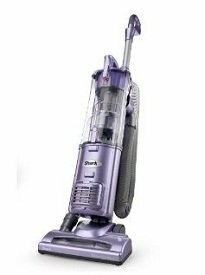 Shark has been the most successful in the upright department with their popular Shark Navigator vacuum but they actually offer all types of vacuums that are currently on the market: uprights, canisters, stick vacuums, handhelds and even steam cleaners. Possibly the single most distinguishing feature of Shark uprights is the fact that they are remarkably lightweight and maneuverable. 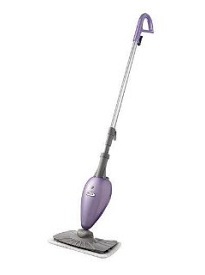 They are also economical, since all of the vacuum cleaners in the Shark upright line are bagless. Maneuverability. That’s the Shark canister vacuum cleaner’s claim to fame… and of course its cleaning power. The powerful suction is sure to capture all of the dust and dirt lurking around in any home. The freedom of not being tethered to a cord gives anyone who uses a Shark handheld or cordless vacuum cleaner the advantage of being able get to those incredibly hard to reach places when cleaning cars, recreational vehicles, campers and while on vacation. How many times have you been in the car or van with the children and they spill a whole bag of chips or cookies? Imagine how easy it would be to simply pull over and whip out a cordless handheld Shark vacuum cleaner to make the mess disappear before the crumbs get ground into your upholstery or carpet pile. Shark steam cleaners not only clean and sanitize your floors, several models convert to handheld cleaners. The models that come with detachable handles make it possible for you to clean countertops, tables and other hard surfaces with the same ease as wiping them down with a wet cloth. The only difference is the Shark steamer cleans and sanitizes everything without harmful chemicals that often irritate and cause allergic reactions in those household members who are sensitive to chemical fumes. 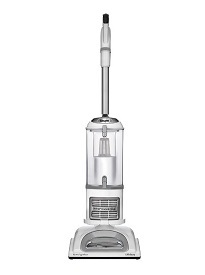 Shark / Euro Pro vacuum cleaners were for a while not as well known as the Dyson or Hoover brand but with the surprising success of their flagship Shark Navigator NV22L - which we rank as the #1 vacuum under $150 - they've surely gotten everyone's attention. Excellent cleaning capabilities for a low price. Smart innovations when it comes to design and ease of use. Most vacuums are not HEPA certified and are not suitable for allergy sufferers. Made of cheaper plastic which makes them prone to breaking and damage. Lack of 'high end' line of models for more demanding users. Consumers are still enthusiastic about the popular Shark NV22L even though it's been a few years since its meteoric rise in the vacuum cleaner market. Shark steam cleaners also continually receive high marks from consumer reviews. Low price, do really well on carpets. No need for vacuum bags as most models are bagless. Powerful suction on most upright vacuums. Small dust bins on most bagless vacuums - has to be emptied often. Upright vacuums are not designed for hard flooring - they blow away larger particles. Steam cleaners don't generate enough heat. See just below for a list of Shark consumer reviews left by visitors to this page, or leave your own. Shark vacuum cleaners don't aim to compete in the high end of vacuum cleaner market with the more expensive Miele and Dyson models which are designed with all the bells and whistles. But what Shark / Euro Pro company provides with their line of vacuums is good cleaning performance for a low price. 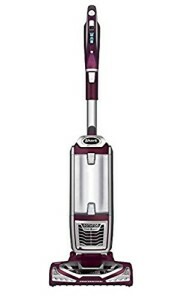 Make sure to read reviews on our site, Amazon.com and other online shopping portals before choosing one as each Shark vacuum has very specific pros and cons and might not be the right choice just based on quick glance. Have you had a Shark vacuum cleaner? Share your experience with it–your thoughts, frustrations, satisfactions, and more–below and we will publish it on this page for other visitors to benefit from.